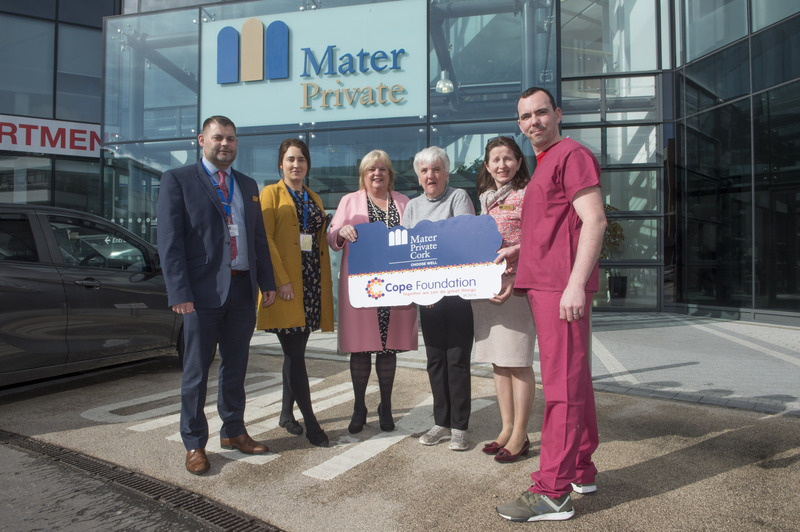 Mater Private Hospital Cork has announced that it has nominated Cork’s Cope Foundation as its Charity Partner for 2018 with a view to helping raise thousands of euro for the local charity this year. Cope Foundation works to enhance the lives of people with an intellectual disability and/or autism; working in partnership with them, their families and local communities to provide a range of person-centred services and supports. Pictured at the launch in Mater Private Hospital Cork were Timmy O’Sullivan, clinical nurse manager, Shane O’Flaherty who is supported by the Cope Foundation, Donna Roche, CEO, Mater Private, Catherine Field, Chairperson, Board of Cope Foundation and Munster rugby star Stephen Archer. Munster rugby player Stephen Archer, Donna Roche, CEO and Marie Hayes, director of nursing at the Mater Private, Sean Abbott, CE, Cope, with parents, supporters from the Cope Foundation and staff from the Mater Private Hospital. Pictured at the launch in Mater Private Hospital Cork were, Kiernan McNamara and Sarah Fouhy and Donna Roche, CEO of the Mater Private Hospital, Anita McCarthy who is supported by the Cope Foundation, Marie Hayes, Director of Nursing and Timmy O’Sullivan, clinical nurse manager, Mater Private Hospital. Over the coming months, staff at Mater Private Cork will participate in, organise and support a number of fundraising events, beginning with the upcoming Flowers of Hope from the 9th to 30th April. 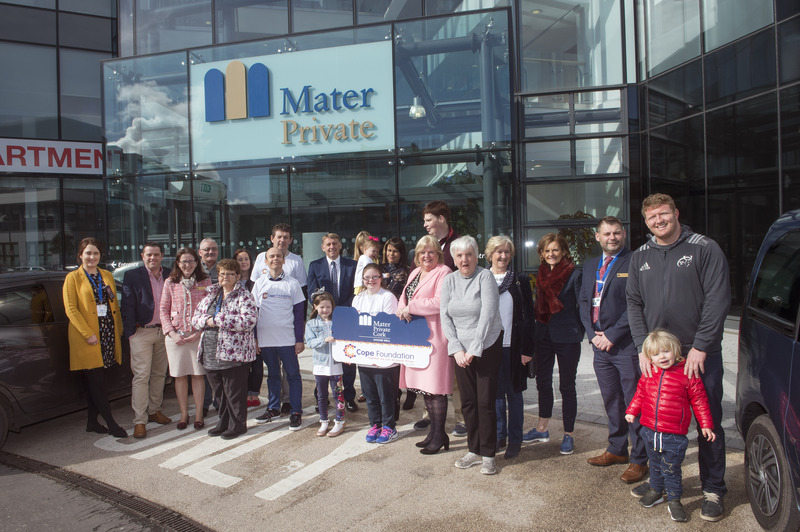 The first big fundraising event at Mater Private Cork, the Flowers of Hope Coffee Break, will take place on Thursday 26th April. Flowers of Hope pins and seeds will be on sale in the Mater Private Cork, SuperValu, Centra and other outlets throughout the month of April.